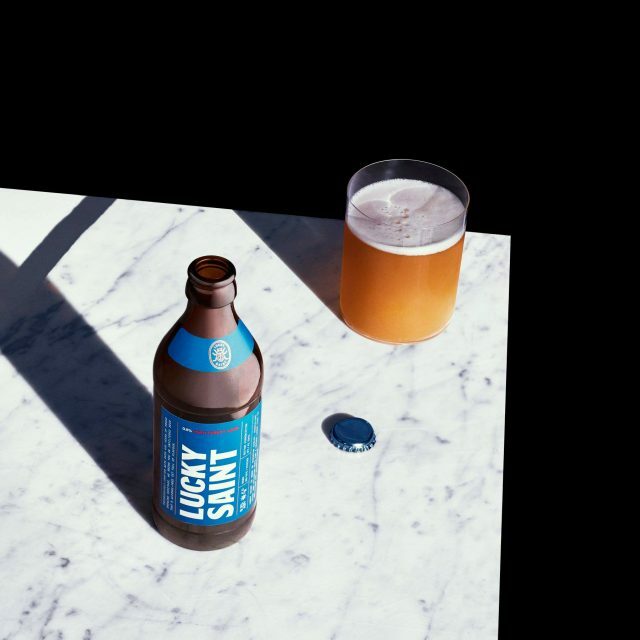 UK beer brand Lucky Saint has unveiled a new advertising campaign featuring nuns drinking bottles of lager accompanied by a reference to a passage in the bible. 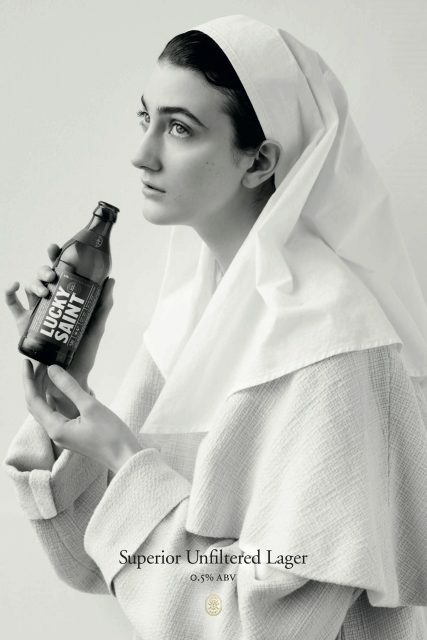 The beer brand, which launched towards the end of last year, has unveiled a new advertising and marketing campaign featuring black and white images of nuns shot by British photographer, Rankin. Produced in partnership with creative agency Karmarama, the images feature nuns holding a bottle of Lucky Saint beer, above a reference to a bible passage, specifically 1 Peter 5:8. The campaign will be featured on posters across London and the beer itself is available through the brand’s website and at selected bars and restaurants in London including Honest Burgers, The Berkeley Hotel and The Star in Bethnal Green.